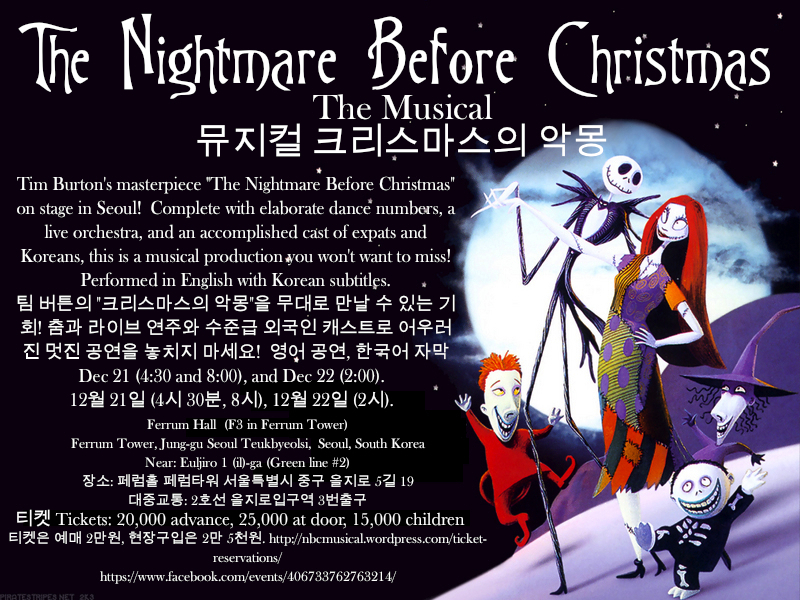 The stage production of “Nightmare Before Christmas the Musical” opened this past weekend at the Sangmyung Arts Center in Seoul. Complete with elaborate dance numbers, a live orchestra, and an accomplished cast of expats and Koreans, director Susan K. Morgan brought Tim Burton’s masterpiece to life in front of a more than enthusiastic audience. While this is certainly not my first time on stage, it is my first time performing in a musical. It has been a very busy and sometimes hectic journey, but seeing all our hard work and Susan’s vision come to life on stage has been incredibly cool. I am a huge Tim Burton fan, so being a part of this has been so exciting for me. The production is full of multi-talented people with all sorts of talents and skills. With such an ambitious project, however, there is a ton of work and preparation involved. Everyone has contributed far more than just their designated roles, whether it be fundraising, prop making, costume designing, etc. It’s been a real pleasure working with them all. For its final show dates, the musical will be held at Ferrum Hall in Seoul on Saturday December 21st at 4:30pm and 8:00pm, as well as on Sunday December 22nd at 2:00pm. You can reserve your tickets HERE. Tickets are already going quickly so you definitely do not want to miss out on the opportunity to see this show. You can also join our Facebook page for more information. If you have any questions, please feel free to ask me. Hope to see you all there!!! 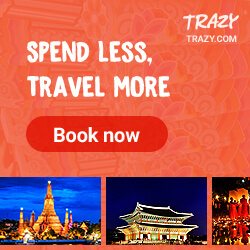 Tags: Culture, Events in Seoul, Korea, Music, Musicals, Nightmare Before Christmas, Photography, Seoul, Tim Burton, travel. Bookmark the permalink.